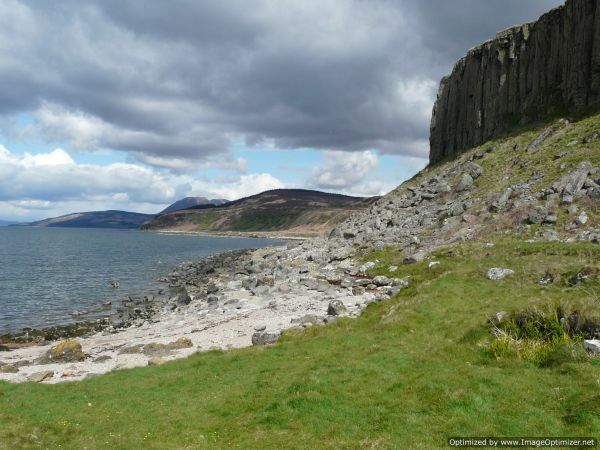 The Arran Coastal Way encircles the island, running mainly at or near sea-level with two excursions inland, one rising to 630 m/2050 ft over the shoulder of Goat Fell, the island's highest mountain (874m/2867 ft). Despite its modest length (105 km/65 miles), the Way will take the average walker 6-8 days to complete, because some of the terrain is challenging and in a few places the route can be impassable at high tide. Although all difficulties can be avoided by taking to the road, part of the route's appeal is its challenge and variety, ranging from easy footpath to scrambling over tidal boulderfields, with some cycle track and, on the west coast, sections of road-walking. Starting from Brodick, it is recommended that the route be walked anti-clockwise however it is waymarked in both directions. 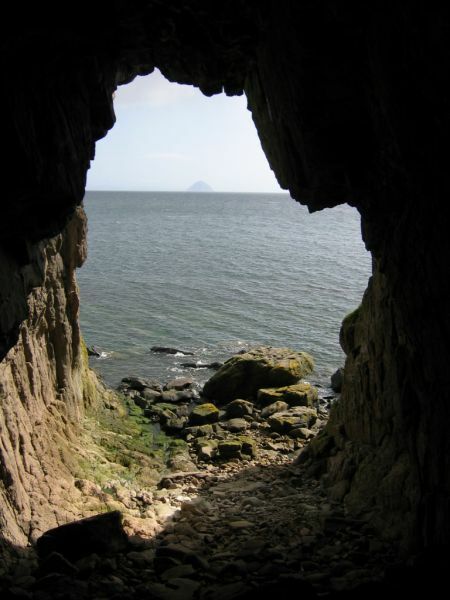 It visits the villages of Sannox, Lochranza, Pirnmill, Blackwaterfoot, Lagg and Whiting Bay, from where an inland loop takes in Glenashdale Falls and Iron Age Fort, dropping to Lamlash and returning at sea-level via Corriegills Point to Brodick. Accommodation is available in most of these villages. 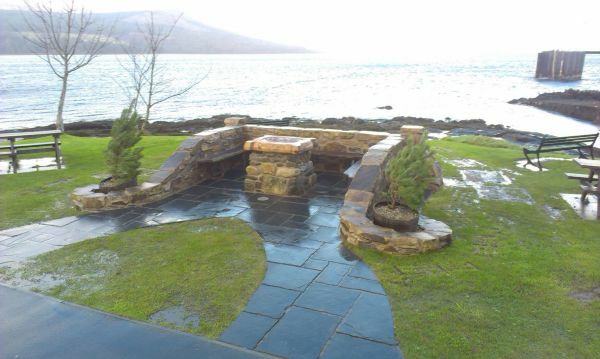 The Arran Coastal Way Project started in May 2014. 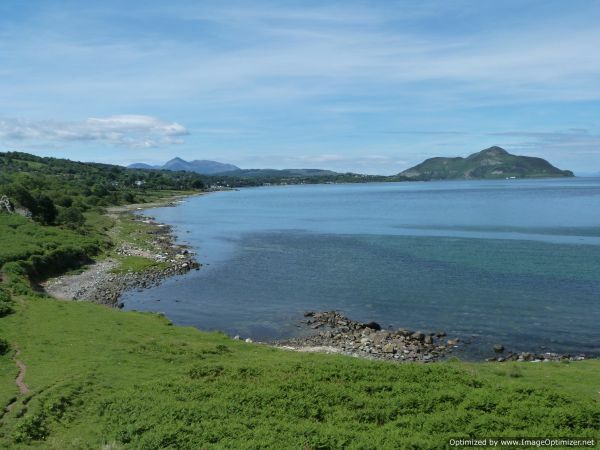 A major award from Coastal Communities Fund and further valuable contributions from North Ayrshire Council, Visit Arran (Arran Trust) and Forestry Commission Scotland has meant the appointment of a project co-ordinator and 3-strong footpath team to undertake work over 2 years. Contractors will also be engaged in improving sections of the Way and signage and interpretation will be updated. Re-routing of the Coastal Way around the seaward side of Drumadoon Point: this section of beautiful rugged coastline was previously missed out as the path swung inland after King's Cave and came to Blackwaterfoot across the Shiskine Golf Course. 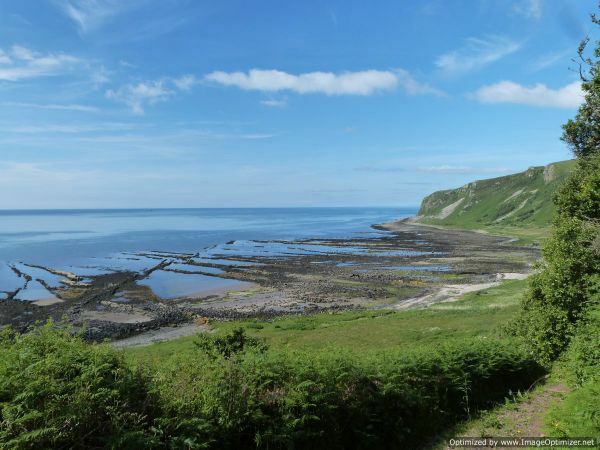 It is now possible to walk along the shore the whole way and come into Blackwaterfoot on one of the island's most stunning beach.